Simply put, Google Taxonomy is the list of categories used by Google to help departmentalize products in a shopping feed. There are more than 6,000 categories and the full Taxonomy and category list can be found here. In some countries, product categories can be subdivided. These countries include the United Kingdom, United States, Australia, France, Germany, Italy, Japan, Brazil, Netherlands, Sweden, Turkey and Norway. Other countries are not currently able to do this. Instead, it is possible to subdivide using ‘product type’. Helping Google work out what search terms you should be shown for. Helping your customers find you. You stand a better chance of your products being shown to potential users when their search terms match your product. Relevancy improves. When your relevancy improves, you may see your cost-per-clicks improve. This also goes for click-through-rate. When a product is shown to multiple relevant searches, this will typically improve the CTR. It is also worth noting that other platforms, such as Bing Shopping and Facebook Product Ads, use Google’s product categories. This will help if you are looking to incorporate an omni-channel retail strategy. A mixture of both automated and manual. Manually categorizing your products is beneficial in that you do not need to pay for third-party software. The downside of this is how time-consuming it is. 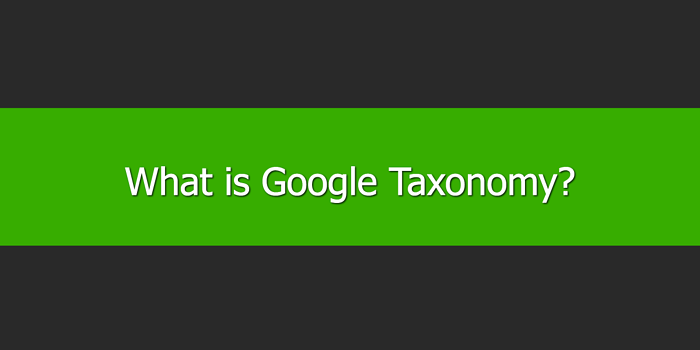 You will need to keep up to date with Google’s taxonomy updates and changes. You (or a freelancer!) will need to download the full category list (link above) and select what category works best for your product. Quick tip: download this data in an Excel and use the ctrl+f function to find your category quickly. Using a third-party tool to automate the categorization process can be a lifesaver for those with hectic schedules. Or, for those with thousands of products to categorize. At DataFeedWatch, we have a tool that does exactly that. Alternatively, using the two in conjunction generally helps with relevancy. It allows you to add the finer details and differences of the product that sets it apart from others within its category. When looking to categorize your items there are a number of requirements and further recommendations. These will help prevent your items from being disapproved and get the most out of Google Shopping. You may find that your item could be applicable to more than one category. As you can only select one category, you will need to find the category that best fits your product. Making this as specific as possible helps show your products to the right people at the right time. In the unlikely event you find your product does not fit within any one of the 6,000+ categories, you can submit your own product category by using the product type. While some older categories can still be used, it generally helps to stay updated with any category changes by Google. When there have been changes to the categories, Google will automatically change your outdated categories into what it feels is the best modern equivalent. Avoiding this will help you stay in control of your categorization and relevancy. Google also requires that you do not use any categories published before August 2011.